← Oracle Database Developer Choice Awards, SQL Category Winner!!! 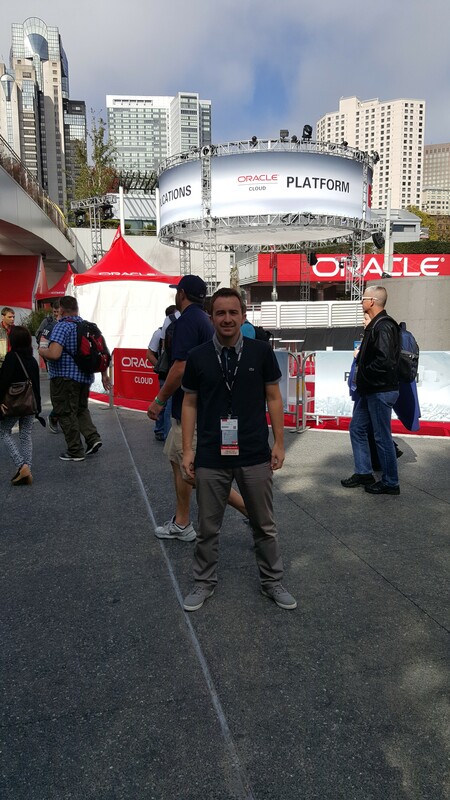 Last week, I was at Oracle Open World 2015 to obtain Oracle Database Developer Choice Award. Also I got around and tried to benefit from the event as much as I can. 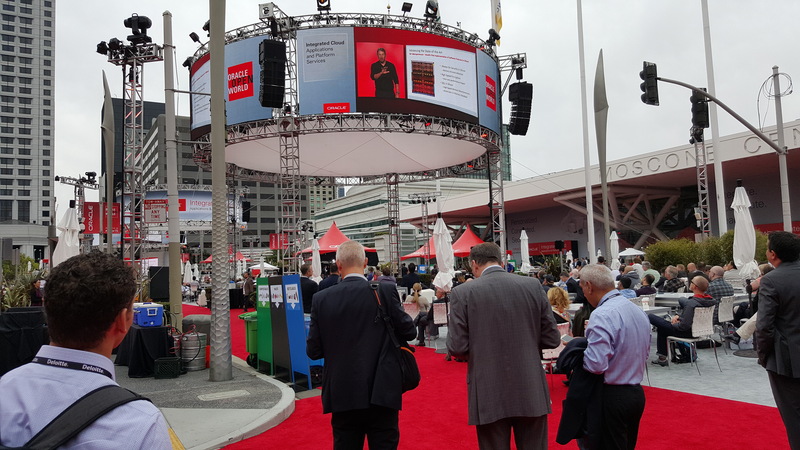 Oracle Open World is held in last week of October every year in San Francisco where also Oracle is headquartered. It could be the world’s biggest IT event if I’m not mistaken. It’s actually an IT madness which lasts for 5 days and includes over 1000 presentations, numerous product demonstrations and over 50 thousand people from all over the world. You can have the opportunity of meeting people of your product group and share ideas with them which might be the biggest positive side of it. 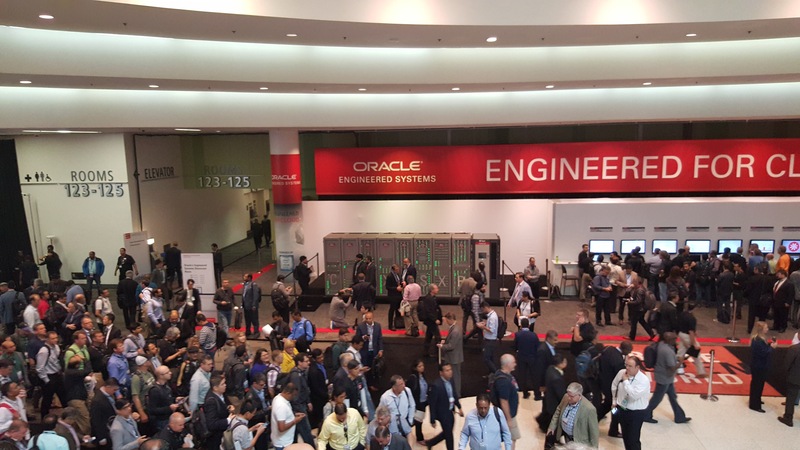 As there are too many presentations and events in Oracle Open World, It is not possible in means of time to follow all of them. Therefore you are able to follow only the news from your own domain and some interesting presentations which I did so and could be able to follow the presentations about Oracle Data Integration, Oracle Database Development, SQL, PL/SQL and Big Data. 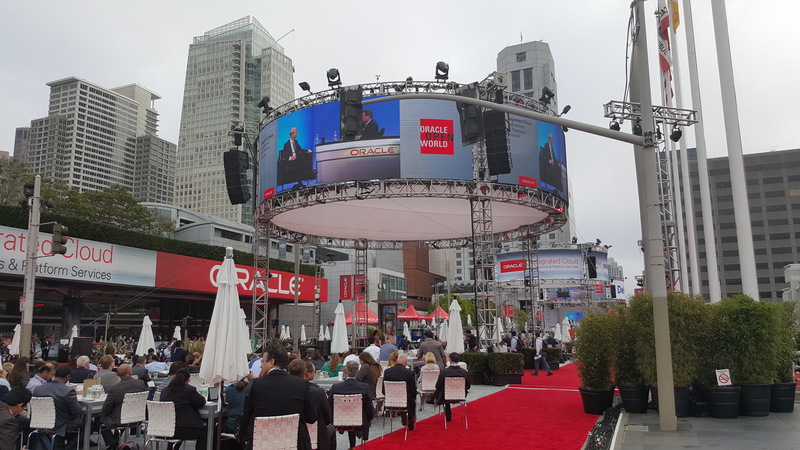 The main emphasis in these presentations was mostly on the new features that have come with the Oracle’s 12c product and among these features, the in-memory subject which was with the largest investment was the hottest topic of each presentation. It seems that as the increase of data amount and the requirement of perform business works in real-time will force big gamers to invest more in in-memory solutions. With the release of Oracle’s 12c version about this topic, we can say that it made big investments about satisfy the customers’ needs as it became supportive in both mid-tier solutions and in DB level. The fact that in almost every presentation there was an emphasis on in-memory, proves how much Oracle cares this topic. In parallel to that it wouldn’t be false statement that there were also hot topics in Real-Time analytics, NoSQL and Big Data solutions. 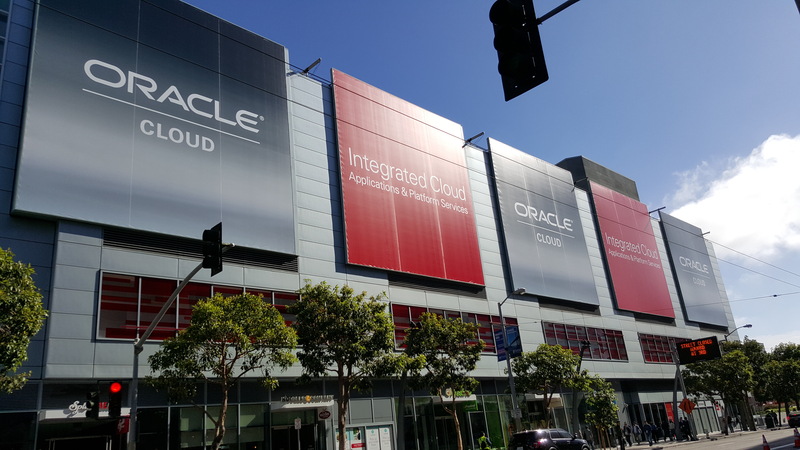 In Oracle Open World 2015 especially in Keynote talks, the main topic was ,as everyone could guess, Cloud and what may happen in upcoming 10 years of projection. The main topic in both Larry Ellison’s, the founder of Oracle, and Marc Hurd’s talk, the CEO of Oracle, was Cloud, Cloud Security and best practices that the companies made with the Oracle’s solution in that domain. It seems that we are entering an era where we will hear about Cloud solutions more frequently and where the companies in our country will not stay indifferent to this trend. On this account, as professionals working at IT field, in order to enter this era well-prepared I should say that we have to do a technical investment to ourselves. 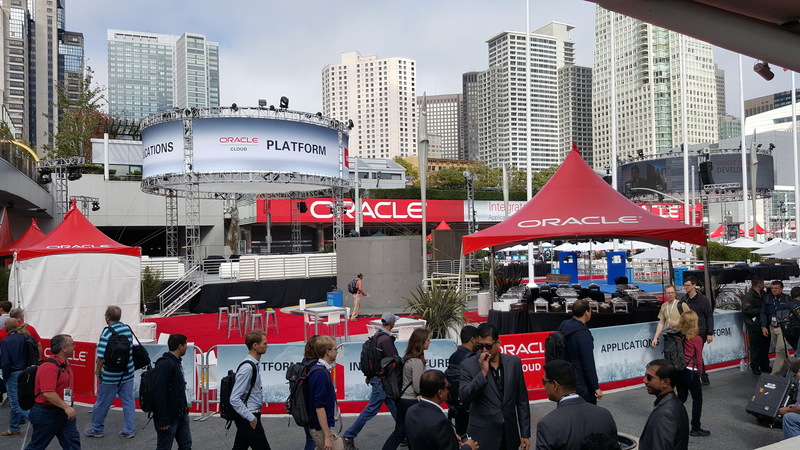 Attending to global events such as Oracle Open World is very nice in means of understanding what is being talked about in the world and which problems are being worked on. I hope that we from time to time, catch these kind of opportunities and also catch up with the sector. 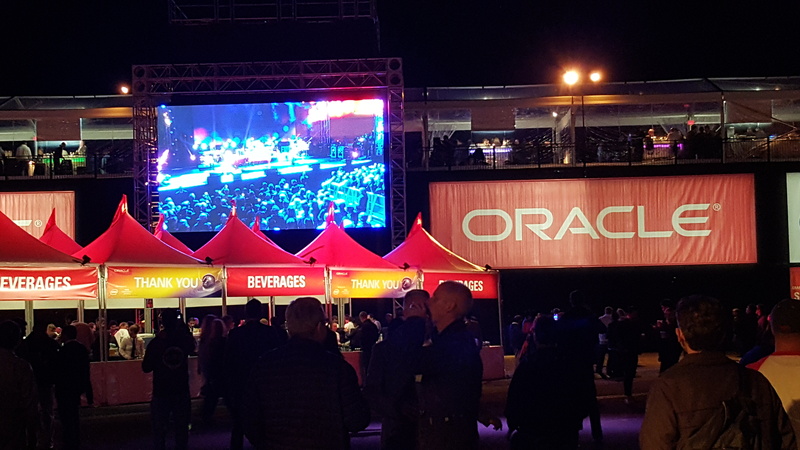 Now I put an end to my article with a few photos I’ve taken in Oracle Open World. I hope this has been an helpful post in means of awareness. 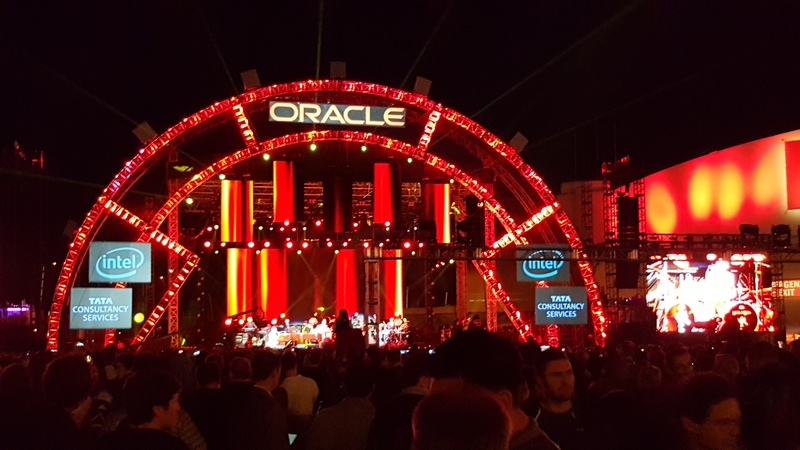 This entry was posted in Oracle, Root and tagged emrah mete oow15, oow15, open world 15, oracle open world 15, Oracle Open World 2015, oracle open world emrah mete. Bookmark the permalink.